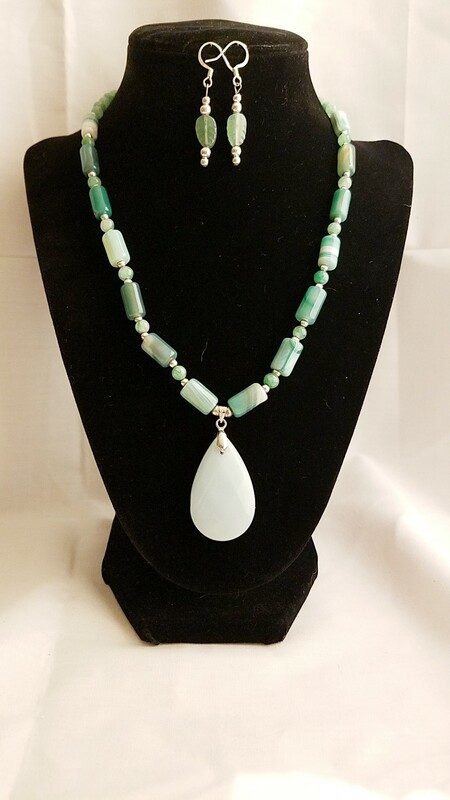 The Playful Balance Verdant Amazonite Teardrop Necklace is a mesmerizing display of color. 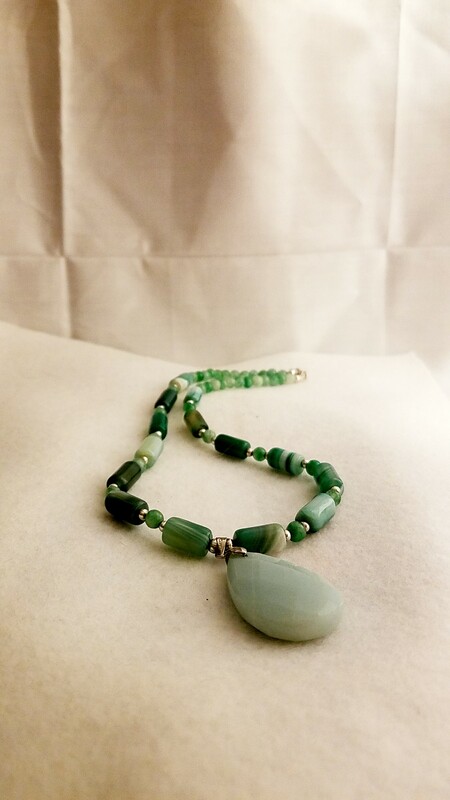 The soft mint green Amazonite pendant hangs from a Green agate and aventurine necklace. Which is complimented by a pair of delicately carved green aventurine earrings. Each change in color balances out the other one, making for a strikingly pleasing design. 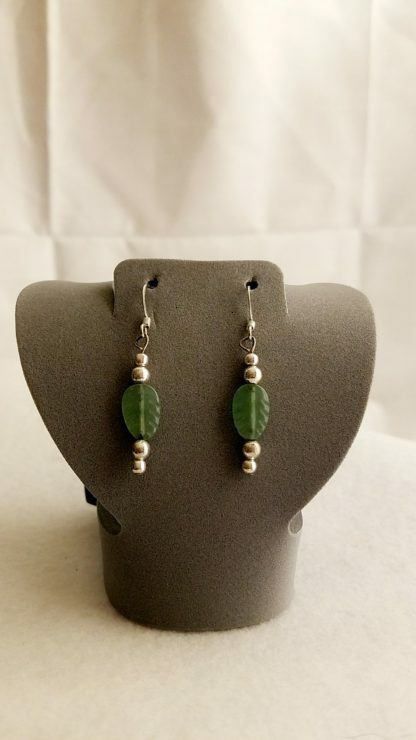 Add this to any outfit for a bright splash of color. 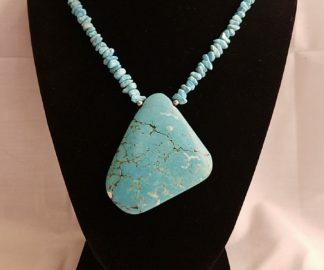 Amazonite is said to enhance intuition, psychic powers, creativity, intellect, and psychic ability. Agate -is a variety of chalcedony formed from layers of quartz which usually show varicolored bands. It usually occurs as rounded nodules or veins. Often tiny quartz crystals form within the stone and add to the beauty and uniqueness of individual stones. These crystals are called drusy (sometimes misspelled as druzy). 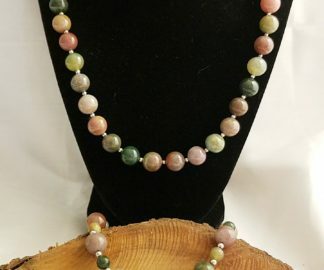 There are many colors and variants of agate. Aventurine is said to benefit one in all areas of creativity, and imagination, as well as intellect and mental clarity. 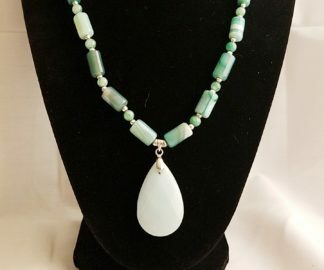 Therefore if you would like more information about the gemstones and items I use in making my handmade items like this, The Playful Balance Verdant Amazonite Teardrop Necklace Materials Description Page. 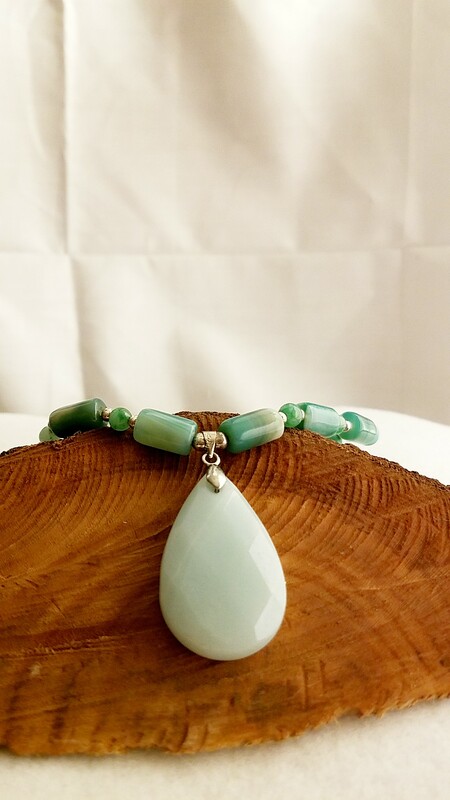 Let this The Playful Balance Verdant Amazonite Teardrop Necklace balance your outfit.